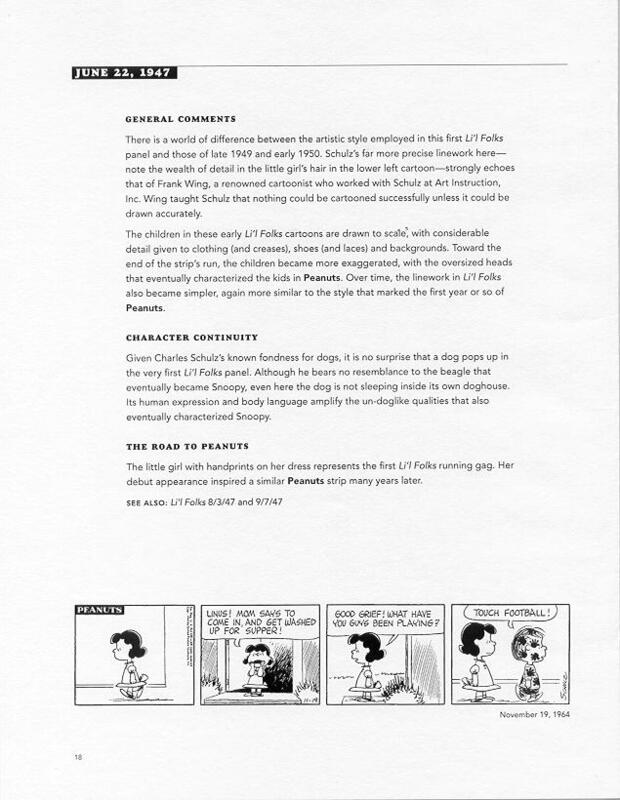 Li値 Folks, the weekly comic panel that Charles Schulz produced before turning his attention to Peanuts, is the subject of a book released February 21, 2004, by the Charles M. Schulz Museum and Research Center. 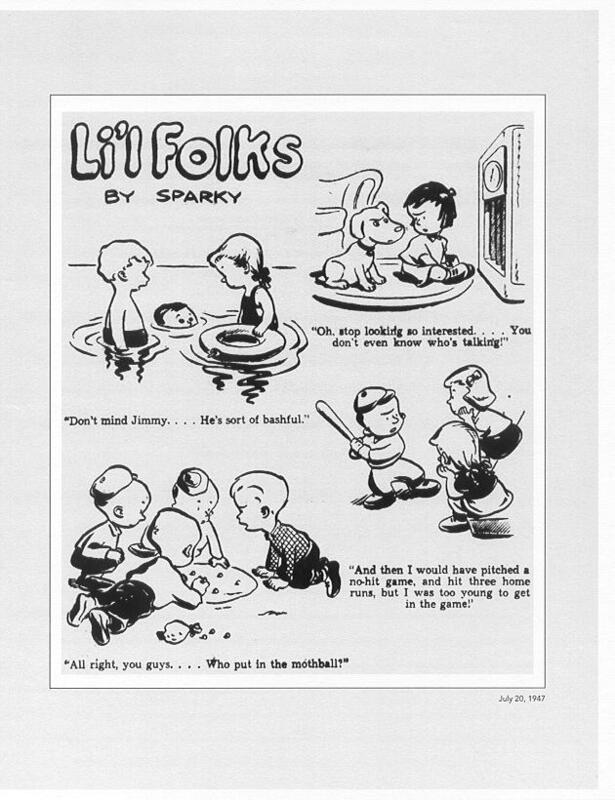 Charles M. Schulz: Li値 Beginnings, with a foreword by Jean Schulz and annotations, editorial commentary and an introduction by Derrick Bang, includes all 135 of the panels that Schulz created for the St. Paul Pioneer Press, his hometown paper, between June 22, 1947, and January 22, 1950. This is the first time all the Li値 Folks cartoons have been reproduced in one volume, giving Schulz fans a rare glimpse of the early evolution of the influential cartoonist痴 craft. 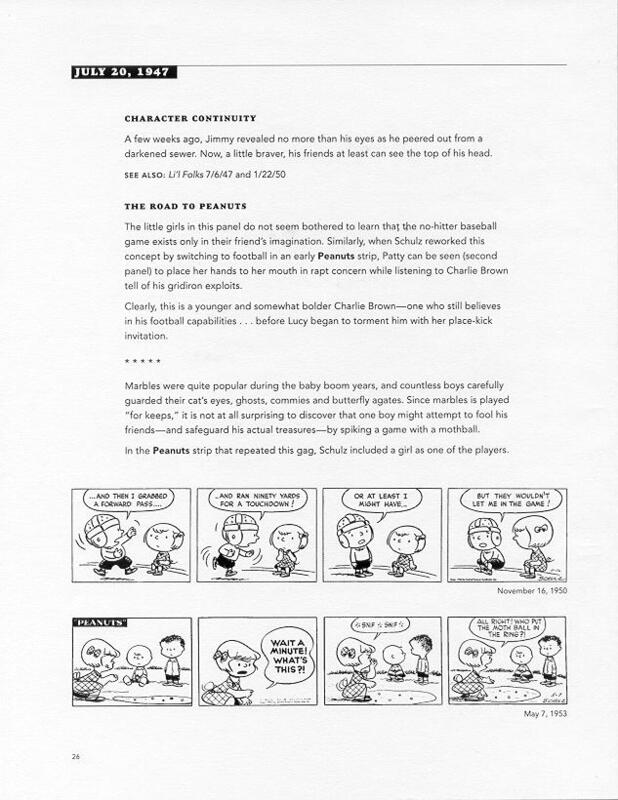 Aside from shedding light on a formative early period of Schulz痴 creative output, these Li値 Folks strips also are noteworthy for their use of characters and themes that later reappeared in Peanuts: a well-dressed young man with a fondness for Beethoven, a dog with a striking resemblance to Snoopy, and a boy named Charlie Brown, among others. 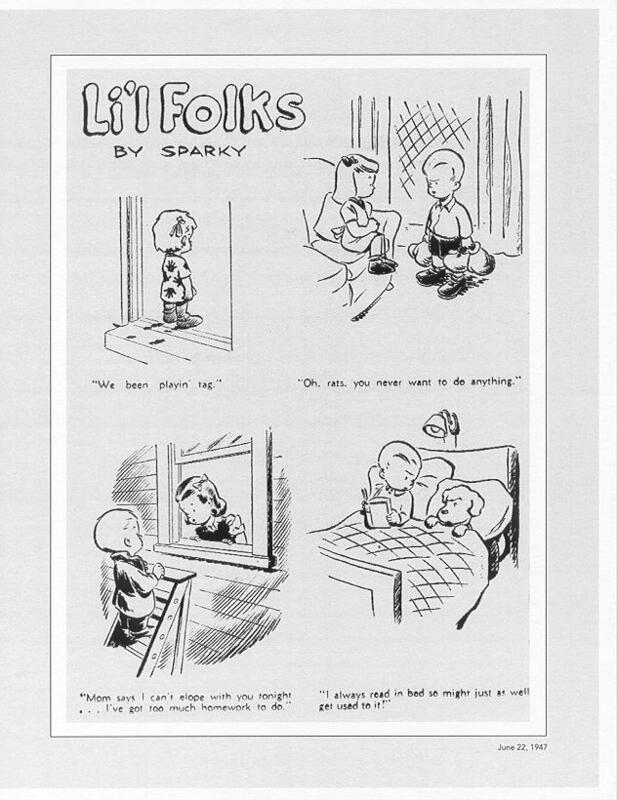 The 298-page book also includes the two Just Keep Laughing cartoon panels that Schulz produced for the Catholic comic book Topix; the two Sparky痴 Li値 Folks panels that ran in the Minneapolis Tribune (and anticipated his series in the St. Paul Pioneer Press); and examples of single-panel cartoons that were published in The Saturday Evening Post in the late 1940s. Endnotes, acknowledgments, bibliography and suggested readings. 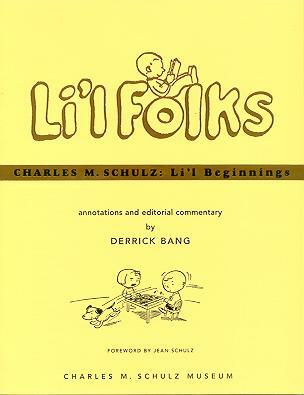 The book is available only from the Charles M. Schulz Museum. Internet orders can be placed via the Museum Gift Shop; visit them here. The book is toward the top.